Oh WOW, I’m so excited about gluten-free pierogies!! That’s one thing that I’ve really missed. Oh, and I’ve liked Bromography on Facebook! Nice! Love the idea of using the sweet potatoes. Yum – those look great! Liked as aerialkabuki. Sweet potato is a great filling idea! 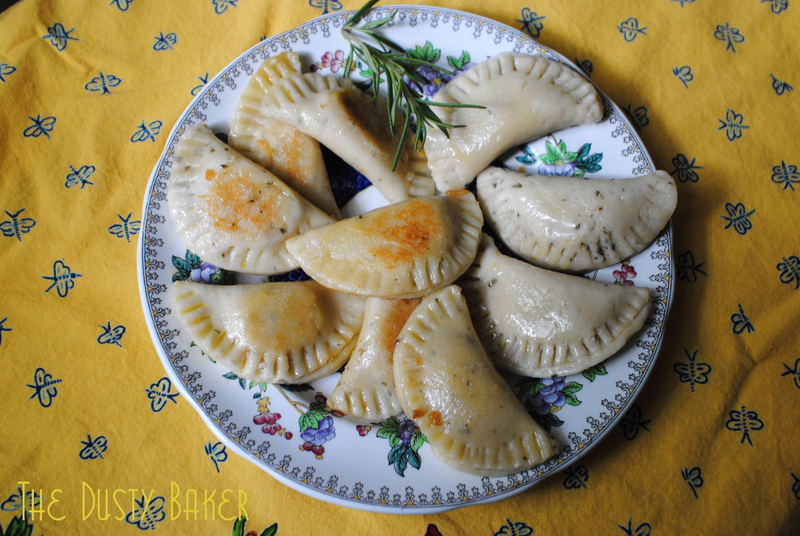 Those pierogies look amazing, I love that they are gluten-free! Great giveaway too, especially since I’ve been wanting to share gluten-free recipes on my blog :) I already follow you on twitter! I recently discovered my gluten allergy, and a good friend told me about your site- this is FANTASTIC! I can’t wait to get started! I love perogies! 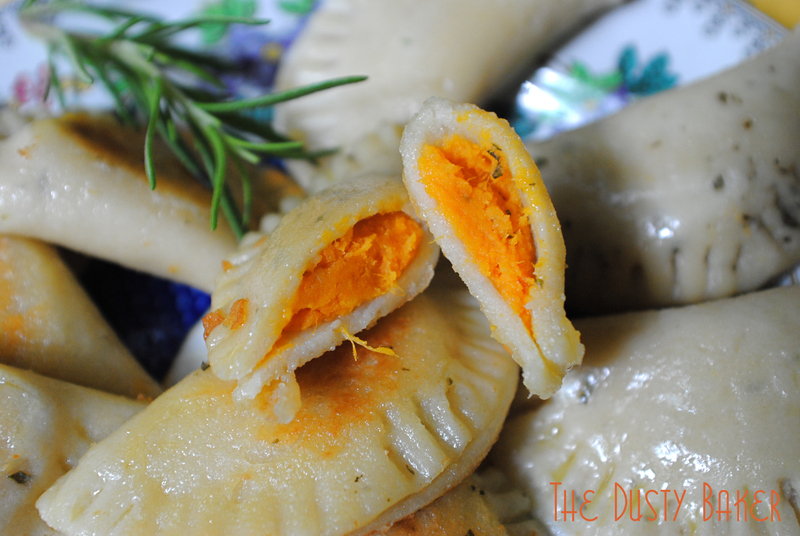 Never would have thought to use sweet potato and rosemary as filling though – sounds divine. Thanks! I liked Bromography and will be sharing this on twitter! Great giveaway, and those perogies look out of this world! 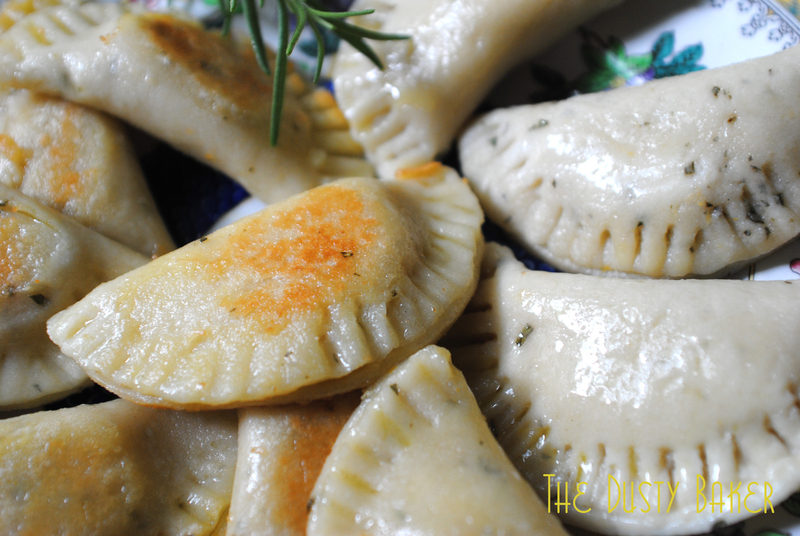 My mom is gluten-free and I would love to make these pierogis for her! Yummo! I am a fan of The Dusty Baker on Fb. I’m also a fan of Bromography on Fb! This recipe looks really good. I do a lot of entertaining, and some friends recently have told me they have to eat gluten free foods…so I have been looking for something delicious to serve and yet is also gluten free. Thanks…and btw, I would love the opportunity to win this cookbook. Congratulations! We wanted to inform you that this post has been selected as a Featured Archive Post on our site for the month of September 2013!